If you can offer help or know of someone that can, please email lwindw@neisd.net to set up a time to meet! Broccoli and Onions Are in the Ground! 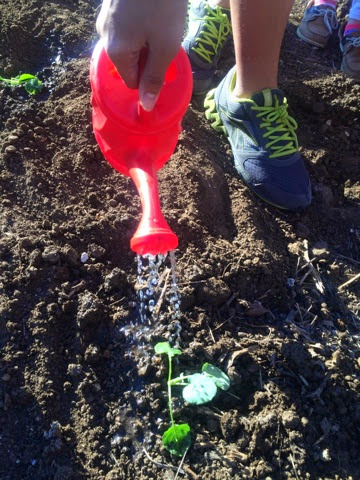 Our broccoli plants and onion sets have been planted! Now we practice patience and care. Don't forget to register below for our FREE fall gardening workshop! Email lwindw@neisd.net for more info. First Seeds Have Been Planted! Students are planting carrot seeds. We have planted green bean seeds, squash seeds, and zucchini seeds. These vegetables will be eaten by teachers and students!